Good Morning loves! It's my spring break and I'm up like I'm ready to go to work. Lol!! What is up with that? I thought I would leave you with this great quote today. 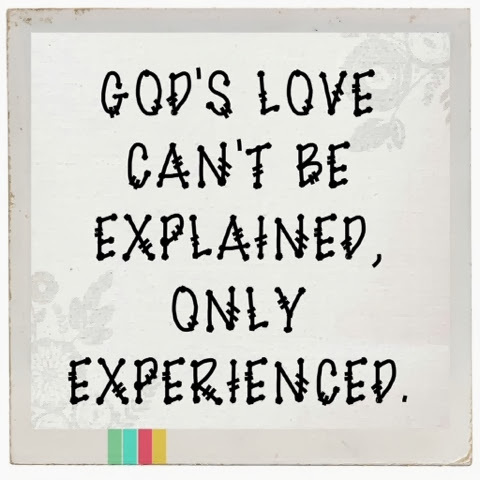 I'm a true believer in God's love. He has blessed my family and I in so many ways. I tell you it's a feeling that you feel inside that can't be explained. Thank you JESUS for all your many blessings. Make today a great day friends! Love this! Hope you are enjoying your Spring Break!! Thanks so much Jill! It's been very relaxing so far. Friendsy you make me smile. I miss you! !